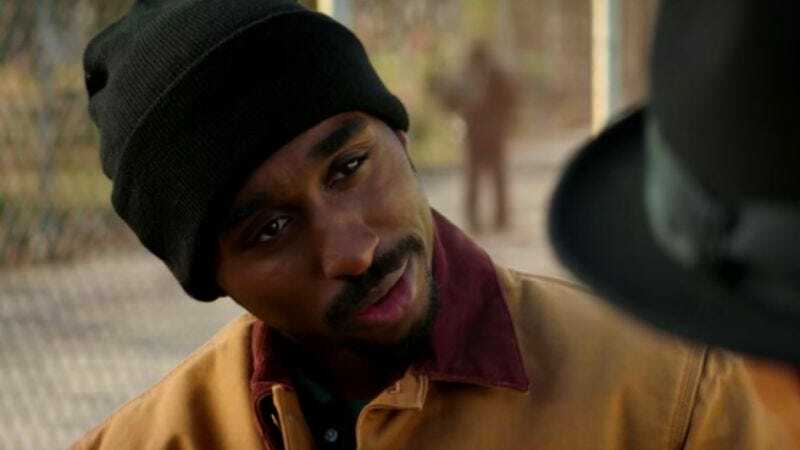 Just last month, a trailer for the Tupac Shakur biopic All Eyez On Me was released that prominently featured clips from the late rapper’s hit “Ambitionz Az A Ridah.” Now, that song in particular is causing some problems for the film, with a new licensing dispute forcing the studio to delay All Eyez On Me from a planned September release back to November. That’s according to TMZ (via The Fader), which reports that rapper Daz Dillinger is now claiming he owns the rights to the song and hasn’t authorized it for use in the film. Music publishing company BMG disagrees, saying it actually owns all of the rights, but now the two parties are going to use this delay to try and figure out the truth. Either way, this is thankfully just about the single song, which means All Eyez On Me doesn’t need to worry about this becoming a Jackie Jormp-Jomp situation. Also, TMZ theorizes that this goes deeper than the Tupac biopic, as it notes that Daz Dillinger sued BMG back in April over some unpaid royalties he says he’s owed.